Our Coaching staff wants to ensure YOU have the opportunity to stay connected with the Lady Cab Basketball Program. We want to ensure our fan base, our family support group, and our former, current, and future players have the ability to follow our current teams progress during the season. One way to do this is through TWITTER. At first it may come off as difficult and a little confusing but below we offer complete instructions for anyone that wants to follow our team. You can follow via the internet, via SMS/text messages to your phone, via a mobile website through your phone, or by a third-party application. Each of these will be explained below so that you have the fullest possibility to show your support and know up to date information about the Lady Cab Basketball Program. Your daughters may reference the Flowing Wells Twitter Train ... and we really want you on board with us. If your cell phone receives Unlimited Text Messages then even without a twitter account you can register from your phone to receive our tweets. You will receive a confirmation text and or previous tweets (messages) from our account. 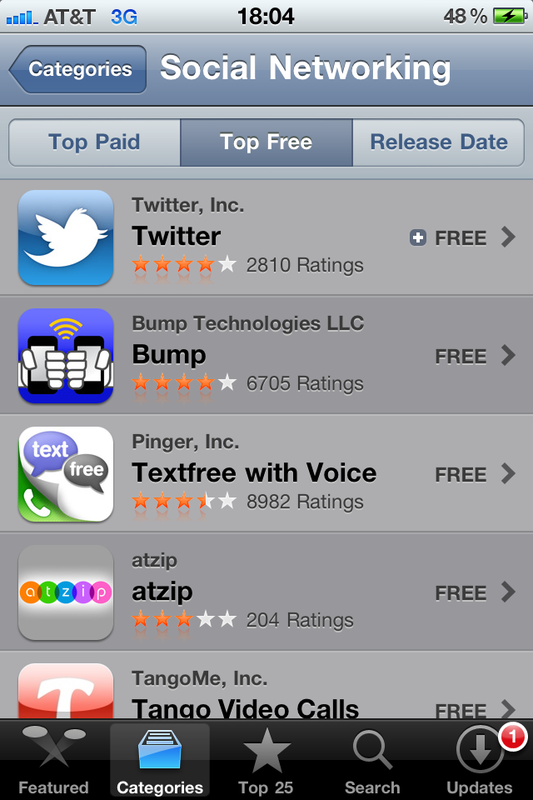 Now you are signed up and anytime we send a tweet you will receive it to your phone as a text message. 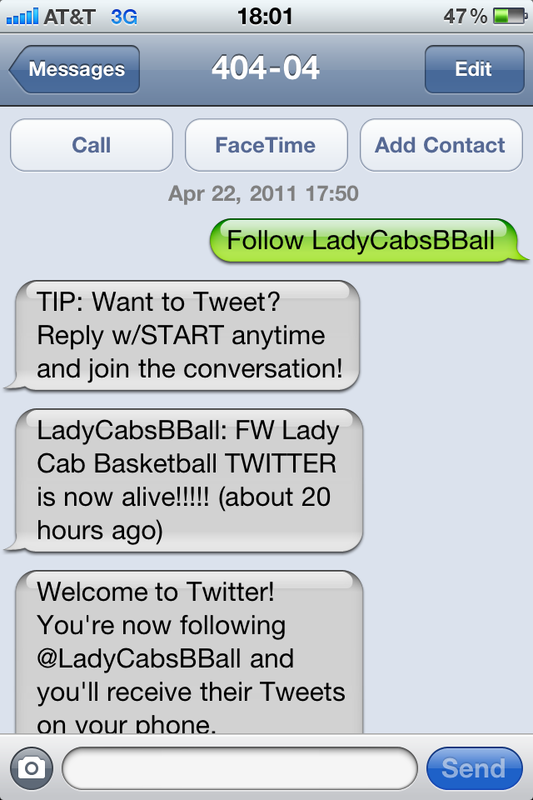 It helps if you make the text message a contact within your phone, place the name FW Twitter or LadyCab Twitter as the name. Each time you receive one of our tweet text messages it will show up as this name and be easier for you to reference. We will send tweets to post scores immediately after games, highlights or breaking news about the program, as well as news updates, pictures and information regarding the website that we think would be beneficial for our team to know about. We started twitter for the main purpose to keep parents up to date when they can not attend home or away games but still want to stay in touch and know the outcome of games right away. In order to follow our Tweets you must have your own twitter account. Signing up takes less than 1 minute and is completely free. In addition you do not have to make your own Tweets or use the account for anything other than following us. Welcome to Twitter!!!! You can now set your preferences, select your screen name, etc. IMPORTANT: If your phone rates charge you per text received then you may not want this option. Standard Message rates apply, so check your phone plan prior to signing up. Once you download the app to your phone you will use it to sign in just as we described above for the internet. If you already did the above then your information and ability to follow us will already be set and ready to go. You can use an app instead of the text message option above if you would like to receive updates through your phone.